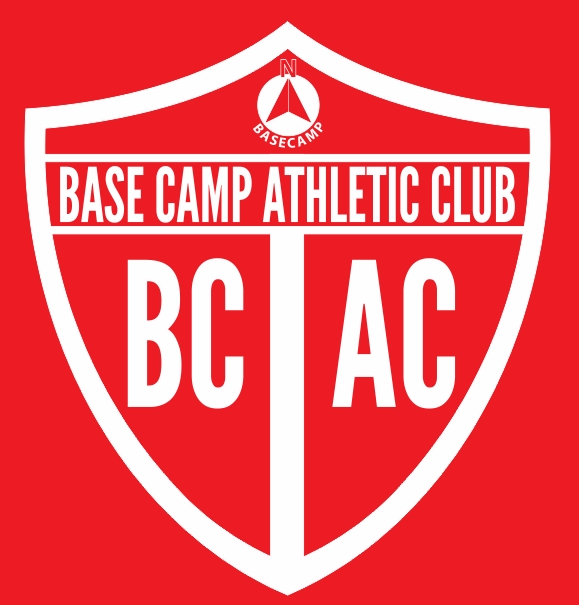 February 10, 2019 February 10, 2019 Mike E.
The BC-AC rugby team is inviting all athletes between 4th and 6th grade to attend an info session to discuss the club’s effort to bring “the fastest growing sport in America” to Hunterdon County. Off & Running in 2019! Boom, the gun has gone off and we’re off and running in 2019! After a stellar year in 2018 that included…. HEALTHY ACTIONS like over 30,000 miles accumulated across our membership…. But, let’s be honest…that’s in the past and we’re ready to get back to work…modeling healthy behaviors and supporting initiatives that do the same, so that together we may drive healthy community through genuine shared-experience. We hope you’ll join us, renew / register to become a member in the local experience (BaseCamp 31) or our professional member arm (APHPT) in 2019 and help us push this effort a few steps further! Happy New Year! I am excited to be picking up the role of Chairman of the BaseCamp31 Board and look forward to working with, and for, all of you this year. I have been a Pro-Activity client for 10 years and was involved in the initial formation of the BaseCamp31 Board six years ago,but stepped aside due to out of state job assignments. Now that I am retired, I have more time for hiking, cycling, and running, as well as a number of community volunteer activities. I strongly believe that MOVE and CONNECT are foundational to good health and love being part of the BaseCamp31 community. These are big shoes to fill as Eric has led the Board and all of you to bring a number of “crazy ideas” to fruition over the past few years that have quickly become great events and programs that really benefit our community. Eric will continue to be heavily involved as BaseCamp31 Director, so look forward to more crazy ideas from all of us in the future! Please feel free to reach out to me or any of the Board members with your suggestions and ideas on how we can further promote an active lifestyle and improve our community health. Meanwhile, we have some great opportunities for you to get involved this year; Saturday morning running, walking and summertime cycling, the BCAC Race Series and other BCAC sponsored races, Youth Rugby, health related community outreach programs, and other volunteer and philanthropic events. Even though it is cold and snowy outside now, it is never too early to start thinking about joining (and getting in shape for) the BCAC Summer of Move team (more details on that soon!). !!! NEW !!! – Marathon Wild Card (26.2 miles) – Complete any “official” Marathon between Jan 1 and Dec 15, 2019. 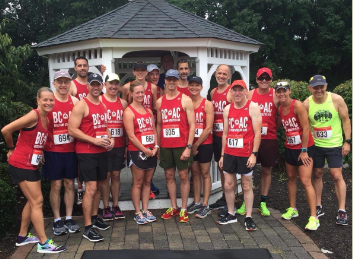 Submit results to run.events@bc-ac.org with link to event’s results page. **Discount Code will be sent to registered participants. Discounts often total more than the fees associated with participation in the series. Fast forward to today, and what started as a desire to bring a new family-friendly and health-focused tradition to our community has grown into 400 Santa’s ready to “Run Before Christmas” at the SantaCon 8k this Saturday! And though this is only our “dress rehearsal year” (no bibs, race timing, swag or frills), there’s still time for you to join in the fun and celebrate with your family and friends! Join us by registering here, help us #savethewheel (donations to our host the Red Mill Museum) and hang for our post run club awards ceremony (note, SantaCon is open to the public… holiday apparel requested). But that’s not the only thing “New” as we head into the Holidays and 2019. Here at BaseCamp we’ve got some new plans, and I’m excited to say, some new faces ready to lead us into the New Year! Yes, in 2019, long-time board member and current treasurer, Mike Wellons will be succeeding me as Chairman of our board. Mike, having spent 27 years in the Exxon-Mobile ranks, brings a wealth of leadership experience! Since retirement, he has spent countless hours volunteering his time with the United Way of Hunterdon, the Flemington Food Pantry, Immaculate Conception Church, and of course BaseCamp 31. We are so very fortunate to have him taking the reigns. As for me…well, don’t get your hopes up…though I’ll be taking the “Rudolph Plunge” on Saturday and chilling out (literally), I’m excited to stay on the team as a Director in 2019. We wish you and yours a very Merry Christmas and Healthy Holiday Season. Gifts have been delivered to the Harvest Family Success Center! 2018 Race Series Events (stay tuned for the release of the 2019 schedule)! Race in 3 of 8 races….and get something cool. Do 5 of 8 and get something AMAZING!